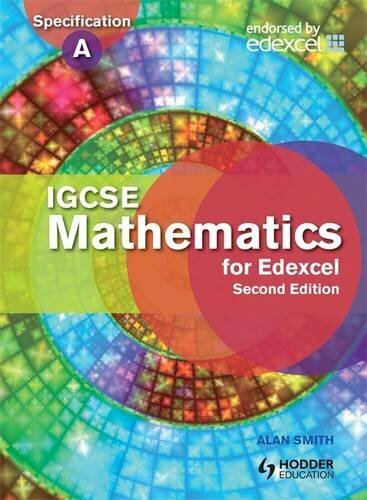 IGCSE Mathematics for Edexcel, 2nd edition has been updated to ensure that this second edition fully supports Edexcel's International GCSE Specification A and the Edexcel Certificate in Mathematics. Written by an experienced examiner, teacher and author, this is the perfect resource for Higher Tier students. The book is accompanied by an interactive CD-ROM, which includes a digital version of the book, asnwers to all the questions and Personal Tutors to accompany every topic. Personal Tutors are interactive audio-visual presentations of worked examples which help students consolidate their learning. This Student's Book is accompanied by IGCSE Mathematics Practice for Edexcel, 2nd edition, which contains a wealth of exam-style questions, and IGCSE Mathematics Teacher's Resource for Edexcel, which provides teaching and learning support.